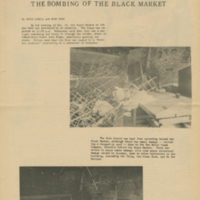 Photograph depicting The Black Market after it was firebombed on December 26, 1968. 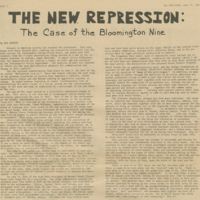 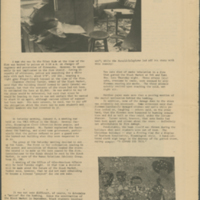 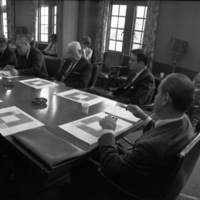 Taken from the IU News Bureau photograph collection, accession number 99/075. 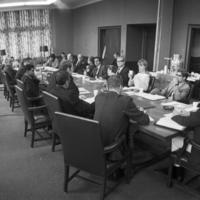 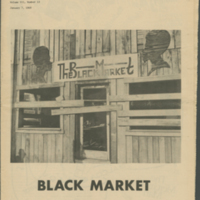 Photograph showing students conversing inside The Black Market. 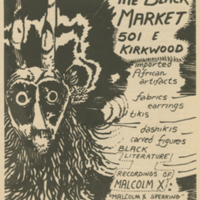 The shop specialized in African goods, clothing, Black literature and sound recordings, until it was firebombed on December 26, 1968. 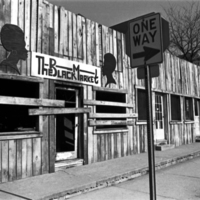 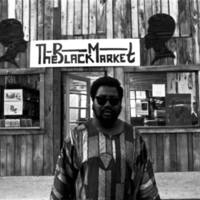 Photograph depicting Clarence "Rollo" Turner standing in front of his shop, The Black Market. 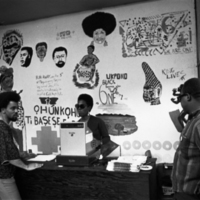 The shop specialized in African goods, clothing, Black literature and sound recordings, until it was firebombed on December 26, 1968.